R. K. Transonic Engineers Pvt. Ltd.
Transonic ultrasonic has been designing industrial ultrasonic cleaning system since 1999. 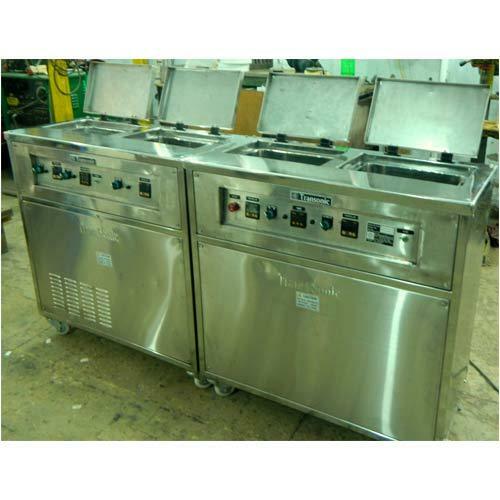 Transonic cleaning systems offers a wide range of industrial ultrasonic cleaning equipment. The use of ultrasonic is practically limitless. R.K.Transonic Engineers Pvt. Limited was incorporated in 2004 to manufacture industrial cleaning system like ultrasonic cleaners & degreasers, for the industrial marketplace. We are one of the leading firms in India manufacturing such systems.